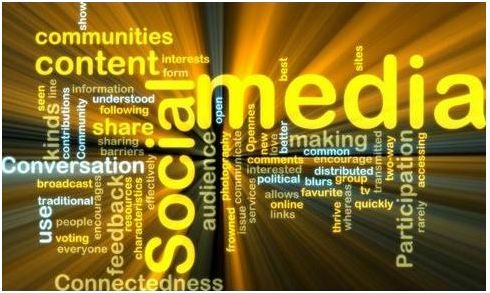 Social media are an instrumental element in creating a new epoch in business with respect to transparency and engagement. They have allowed for fresh opportunities and even challenges. In a past life, businesses depended on artful advertising campaigns and press releases as means of communicating with people. Companies were constantly trying to influence prospective clients into believing that their products and services were the best, with in-your-face, interruptive and one-directional advertisements and messages. With the social media era now upon us, the landscape of business and marketing strategies have radically shifted, especially in customer-facing industries such as real estate, where people now insist upon a more transparent and direct relationship with the companies with which they choose to do business. Companies (that are not already making the most of social media to grow their businesses) must now decide if they will remain in the dark ages, becoming increasingly obscure, or take a leap onto the social media bandwagon in order to become ‘humanized’ and to forge new, interactive relationships with clients. It’s now imperative that businesses make the shift, transitioning smoothly into the new era. 1. From “Trying to Make Sales” to “Trying to Make Connections”- Interrupting people’s lives and talking “at” them via traditional advertising means has shifted to engaging and connecting with people more interactively and on a more human level. Social media sites such as Facebook, Twitter, Blogs and LinkedIn, facilitate engagement and social interaction and as a result, consumers have more trust and feel more comfortable engaging in a business relationship with these companies. The more successful brands in social media are posting not so much about their products and services, but more about ‘personal’ topics of interest that connects them with consumers. 2. From “Image Management” to “Just Being Personable” – It doesn’t do a company justice to maintain a constantly controlled image. A friendly, trustworthy face that people feel they can depend on and relate to is key. Drop the stiff corporate image once in a while and just be personable. 3. From “Unattainable” to “Readily Available” – Engaging with clients today is vastly different than it was in the days of simply including your email address and telephone number on your website. People now want to engage businesses via their preferred means of communication and that usually means Facebook, Twitter or discussion forums. People want to feel comfortable doing business with companies and need to know that these companies are accessible across the social media board. Real estate is no exception here; in fact, this is probably more the case when people are in the market for big-ticket items like homes! Businesses that opt to not acclimatize to the new landscape that social media has formed, will be at a distinct disadvantage, as their clients and prospects begin to forge personal relationships with their competitors. As we are now in an age of engagement, open communication and transparency, business success has less to do with the size of advertising budgets and everything to do with the quality of interaction with people on a human level. To learn more about how you can develop a social media strategy for your real estate business, join one of our Social Networking workshops and we’ll teach you everything you need to know to get started today! Just click on the link below for a listing of workshops in your area. This entry was posted in Blogs, Facebook, LinkedIn, Real Estate, Social Networking, Traffic, Twitter and tagged shift to social media. Bookmark the permalink.